Manna From Heaven Community Outreach is a ministry designed to bring the message of love, healing and hope by meeting the basic needs of the poor, sick and terminally ill. These needs include food, water, clothing, blankets, shelter and more than anything else love and acceptance. As stated above, our desire is to see each hungry stomach filled to the full, each body healed, and each soul brought into a place of peace.Acceptance plays a big role in Manna From Heaven Community Outreach. We encourage unity within the communities themselves and within the community of Maun. By working together and giving each individual the opportunity to make a difference we can change our world. 'The goal of Manna From Heaven is very simple', notes Erika Visser, who is spearheading the effort. 'Our focus is on the very, very basic needs of our local AIDS victims, many of which are currently not being met. 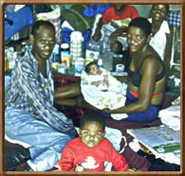 'Through donations of clothing, dry goods, food, and cash, Manna From Heaven provides AIDS sufferers with meals, clothing, and transportation to and from the clinic for monthly treatments. “Come you who are blessed by my Father; take your inheritance, the kingdom prepared for you since the creation of the world. For I was hungry and you gave me something to eat, I was thirsty and you gave me something to drink, I was a stranger and you invited me in, I needed clothes and you clothed me, I was sick and you looked after me, I was in prison and you came to visit me”. To read the full story and see how you can help those in need CLICK HERE. Assiting an AIDS vicitim in a local village. "We are encouraging Bostwana's thriving travel community to donate clothing, blankets, and durable goods for this cause. Safari guests can pack an extra item or two if possible, and leave whatever they can behind after their safari. Such donations have a real impact on the people of Botswana." Formerly the British protectorate of Bechuanaland, Botswana adopted its new name upon independence in 1966. Four decades of uninterrupted civilian leadership, progressive social policies, and significant capital investment have created one of the most dynamic economies in Africa. 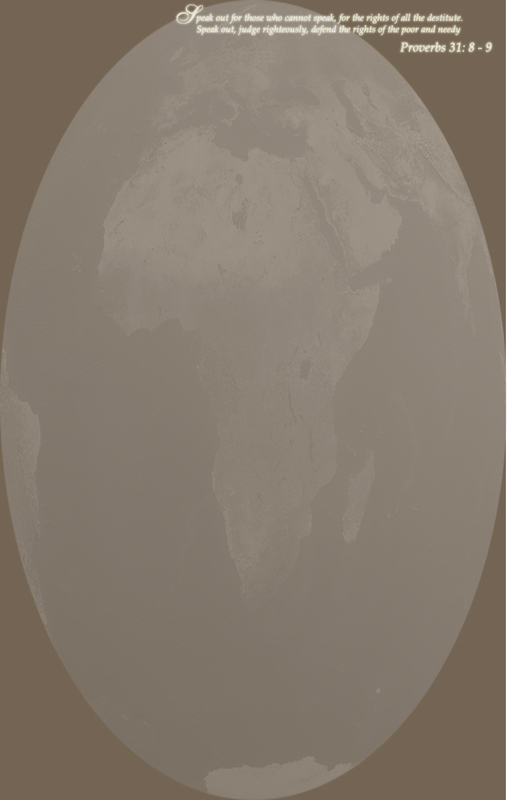 Mineral extraction, principally diamond mining, dominates economic activity, though tourism is a growing sector due to the country's conservation practices and extensive nature preserves.Botswana has maintained one of the world's highest economic growth rates since independence in 1966. Through fiscal discipline and sound management, Botswana has transformed itself from one of the poorest countries in the world to a middle-income country with a per capita GDP of $9,200 in 2004. Two major investment services rank Botswana as the best credit risk in Africa. On the downside, the government must deal with high rates of unemployment and poverty. Unemployment officially is 23.8%, but unofficial estimates place it closer to 40%. HIV/AIDS infection rates are the second highest in the world and threaten Botswana's impressive economic gains. An expected leveling off in diamond mining production overshadow long-term prospects. 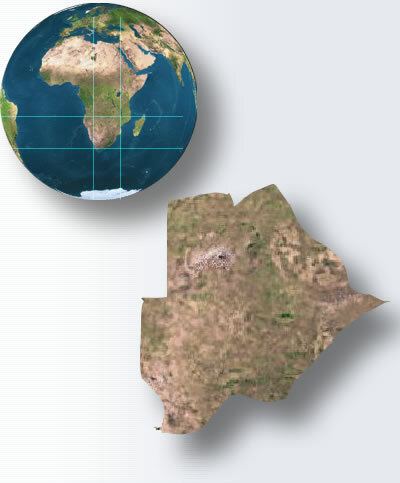 The population of Botswana is estimated at 1,640,115. Botswana has one of the world's highest known rates of HIV/AIDS infection, some 350,000 people live with HIV/AIDS, but also one of Africa's most progressive and comprehensive programs for dealing with the disease.